If you want your phone hacked this is the app for you. Would NOT recommend this app to nobody! Don’t bother with this vpn. Try another one. At least for me, it disconnects and leaves me vulnerable and it’s scary and annoying. When I downloaded it it said I hade to pay then I pressed something and it’s free and works. I think you just need to buy it if you want it to connect faster because it’s a little slow. No explanation the best vpn tell me who’s better I’ll wait. I want to know how updating the app is? The last VPN I used I would update and it stopped working. I haven’t updated this app because I’m afraid of it not working and this is the only one that works for me. So I was wondering if anyone has updated it and it still works good after? 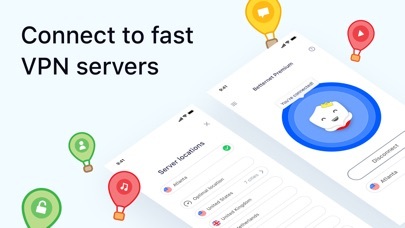 This vpn is great, it connects fast and I can get on any app no problem! it really helps during school when u are out of data ! Worst vpn I’ve ever used. Slow connection, bugged and slow disconnect, slow speed in all regions. The one star is for 7 day free trial which allows me to find out how trash it is and waste my time on it. Complete waste of time and money. Works great. Have had no problems and allows me to use wifi at school on my iPad, iPhone etc. I recently got a new phone, and my old vpns weren’t working so I was so happy I found this! 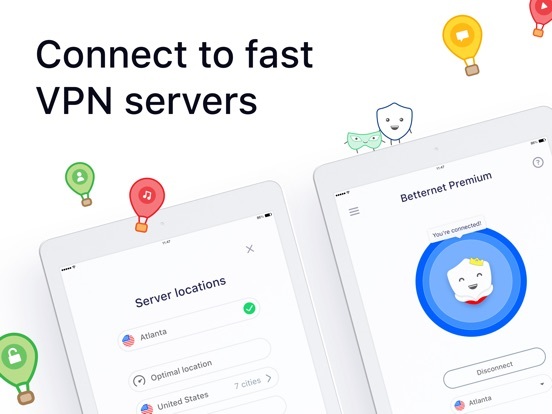 Take a bit to connect to a VPN but it works. Our school wifi is only for safari you can't get on Snapchat or Twitter nor Instagram. Although you can get on Facebook but this app let me get access to anything I wanted BLOCKED OR NOT. It works consistently for a free version app. Turn it on and never worry again. Okay so the only reason I use this app is because our school’s WiFi blocked basically every social media app that TEENS USE EVERY DAY OF THEIR LIVES. Here’s the deal. Sometimes whenever I open Snapchat the Betternet app just randomly disconnects and then every time I try to send my streaks or even so much as one snap, the VPN app tears up my service and my streaks take decades to send. Sometimes I even have to turn off both the app and the WiFi in order for my snaps to be able to send more quickly. Yeah that doesn’t help either, because sometimes the app reconnects itself even when I’m using data and just makes the service even worse. I’ve also tried deleting and reinstalling the app several times, and it only works on occasion or when I’m on any other WiFi other than the school’s WiFi. The general gravity of this situation is that this app just ruins my service and I hate it. Every time I’m somewhere where Snapchat is blocked on their WiFi, BETTERNET WORSENS THE SERVICE! IT’S SUPPOSED TO IMPROVE THE SERVICE NOT DETERIORATE IT! It’s called BETTERnet for a reason! This app needs a lot of adjustments. So, I have used Betternet for a long time. I was browsing the internet, and came across a pop-up ad yelling at me YOUR IPHONE IS INFECTED WITH (sic) VIRUS! I decided to humor it, and went ahead, and it said that I needed to use “this VPN that will show up after clicking the button below. You must use it at all times especially on public WiFi or else your iPhone will be infected and lose all of your credit cards and contacts and iTunes blah blah blah. And when I clicked on that button... this app was what it sent me to. Why on earth are they trying to hire super sketchy ads threatening you with a virus, and trying to lie and trick you into using Betternet... like that’s kinda... possibly illegal and all... or at the very least it really made me lose what respect I had for the devs. Really you are going to lie and cheat people into downloading your app, convince them that without it they are in physical/financial danger, that’s practically blackmail. DOWNLOAD THIS APP OR ELSE YOU WILL GET VIRUS!!! Is not usually what you hear from tech companies, at least the not-morally-bankrupt ones. I really like Betternet because it helps me a lot with social protection when I am traveling and makes my day a lot smoother. There are barely any adds and even if there would be one it wouldn’t be constantly drowning you in adds. 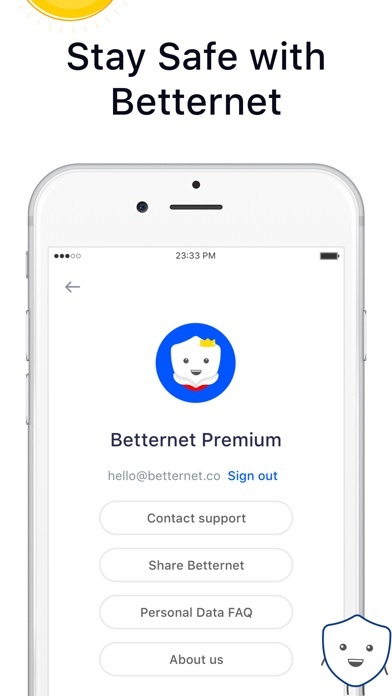 They really care about there downloaders and I appreciate that a lot because there are many apps where they would drown you in adds just to get money but Betternet helps you and cares for you and not irritating you. This is my true review I would recommend it to anyone who is paranoid about getting hacked or just wants a little protection with their accounts on social media, banks, email, and other important things on your phone, computer or any other devices. I really hoped this helped you in making your decision to download the app Betternet. it works where I am now on both laptop and phone. I wish it were working on blackberry passport, but that's already a lost battle. It deserves all appreciation for the connection to acessing website where I didn't expect to get to. It is a life saver. I am not sure yet how it does regarding the data. On blackberry they required access to all files shared and that hints at the ise of the personal data on get to know whoch purpose. Many times I see that vpns live on these use and abuse of our personal data, selling it to third parties. It is also a condition sine qua non, that the lack if these tools would block us away from real world, due to the online restrictions and banning practiced in different countries. My five stars go for this main reason. As this being my first ever review after being with Apple for years, I felt like I needed to give my two cents on what my opinion is on this app. Sketchy. Shady. Dysfunctional. When I was setting up the vpn profile, it was going smoothly, little vpn sign next to my internet which I thought was pretty neat, then 1-2 hours later, it cut my home internet off completely. I tried forgetting the Internet then rejoining and it would show I’m connected but then never work. I tried deleting the VPN profile then trying it again, still no luck. It was at this point I was starting to get worried. I reset my phone a couple times. Nada, then when I finally deleted the app, and Reset Settings, it finally worked. I don’t know what you guys did, but this has never happened before with Xfinity internet (I download a lot of third party apps and never had this problem) Either fix this humongous bug or my review stays fixed at a well deserved 1 star. Disappointing. Just btw many of the 5 star ratings exist for this app because the app said it would connect if you rated it 5 stars. Betternet is great when it works. At school, without betternet, the wifi is slow and any social media is blocked. With betternet I can access all my apps and use them and the speed of it is pretty good. The worst part of it is having to connect it every time and the times when it doesn't connect. Sometimes I click the connect button and it sits there and doesn't even register the click. Sometimes it asks me to watch a short video and then connect. I watch the short video and it won't even try to connect after. I'm not disappointed that it is unable to connect, but that it is unresponsive sometimes and doesn't even try. I have the premium version running in IOS and the basic version in Windows 10 laptop. Their suport team is one that any other app developer should look up to. 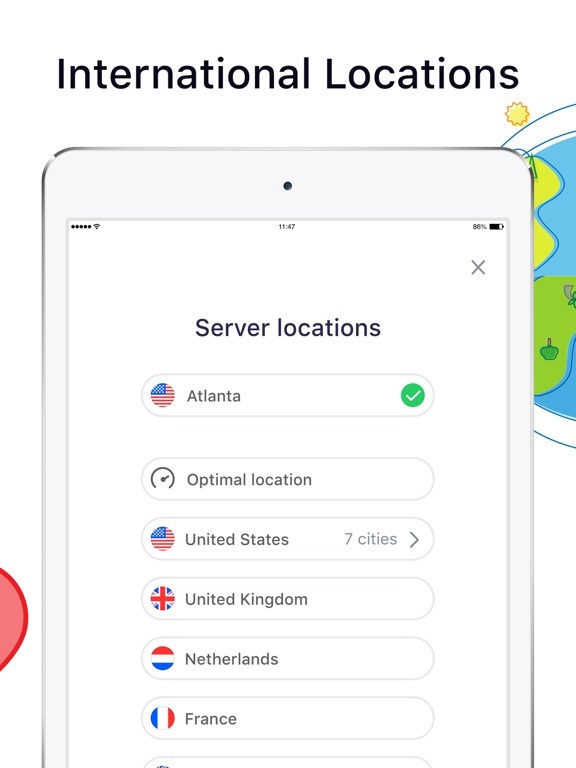 Reliable vpn connections are key in the system. I just wish they maintain this business model and keep up with this fine app that I am sure they are proud of. ------------- 14 July 2017 Betternet had a very good offer to go Premium for one year, with a 60% discount. I immediately go for it. What my qualms are now: 1. On my Windows 10 app, there are no option of login let alone to change the location of the server. The mini app was designed for free users. 2. In my Iphone, I logged out and logged in with expectation of Premium menus. I did verify in my email link to add my first device (out of 5), but the app interface did not change and still have my free menus and button to "Go Premium". So.... after 2 days purchasing I still dont get anything besides the free connection VPN. I asked helpdesk but the instructions does not sync with what the app gives. Hope I get a resolution soon. ------------- 17 August 2017 Finally, a windows app that could also go premium! 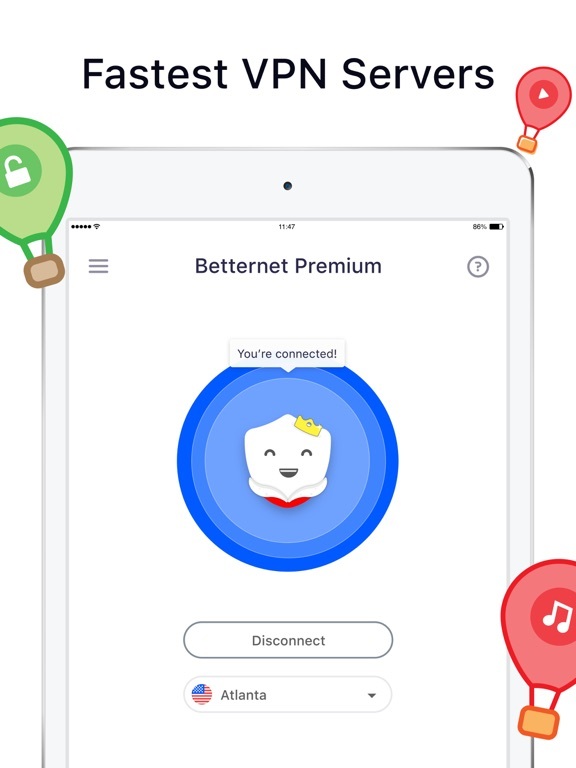 Betternet is a premium VPN, without a premium price tag. Every time I pressed play to watch a movie. it would just direct me back to the movie over and over. If I was lucky a movie would play after Maybe twenty or so tries. AND the ads!!!!! They pop up half way up the screen and if you click the X??? The movie is redirected to the beginning along with the relentless ads. I suppose it’s ok if you just want to look at pictures, I’m very disappointed and I’m hoping they cancel the service without a hassle. Hopefully I’ll find an app that actually does what it says it’s supposed to do someday. You’ve been warned. If you don’t mind spending two hours to watch two five minute movies, you’ll be happy with their service if I give it one star it’ll be because it won’t let me post this without giving it at least one star. I give it minus two stars for the extreme frustration caused by dealing with this app. I forgot. If it actually works, it will be SLOW! If you have issues with the free version, I feel like there is no right to complain. It’s free and you get what you pay for. And the free versions has always worked kind of good for me. However, I wanted to play some games on my phone and get a little more speed (like it advertises) and choose my servers. Now that I upgraded I can connect 1/10 times, and that is a generous number. I love in mainland China right now and I can’t even connect to Hong Kong. Every server since I upgraded has barely worked and even when I connect it’s been slower than the free version. Although the free version works fine for me, the premium has been a major disappointment. Hopefully it improves, I have really enjoyed Betternet on trips past. But if you are in China I do not suggest it. For now I need to find something that works. first i’ll start off by saying my bad for not looking further into my bank statements about this. but i was seeing this as itunes apple store thinking this was my apple music (i realize this would’ve been two separate charges but again that’s why i said my bad) but i learned today how to take off “subscriptions” on itune accounts and come to find out this app has been charging me (only visible is since november) i used this app so long ago and if i’ve been charged for that long i will be highly disappointed. this app hasn’t been downloaded and i didn’t know how i signed up for a “platinum” subscription. going to call itunes and hopefully this app if they have a customer service line tomorrow and get this figured out. i would’ve never thought of this app or used this app again if it wasn’t for me going into the subscription thing. will for sure steer clear of this app . Completely stopped working on WiFi. I have been using this vpn for the last 2 weeks and everything was fine until 1 week had passed. All off a sudden, the vpn absolutely would not work on any WiFi network. I would try to get it to connect 100 times a day on multiple different networks and it simply did nothing at all. Completely lost contact with all my friends and family back home. However, for some reason when I pay for international data it works just fine! What’s up with that? I refuse to pay to use international data every single day and I need to be able to communicate on multiple blocked platforms. Ive tried to redownload, reconfigure, and change locations countless times, but nothing ever works. So disappointing. I paid for a premium account to make sure I could stay in contact with my family, but the premium account is seemingly worth nothing. Not worth it. Sometimes takes a few tries to be able to connect. Works pretty well though! - Update: I’m currently in China on vacation since about 2 weeks ago. And I tried so many different free vpn’s and only a couple actually connected but most had really slow speeds. Until I found this one, and it worked really well compared to others and I could use Instagram and use other social media’s that china has blocked at decent speeds. But now it stopped connecting after about more then a week, so I deleted it and redownloaded, and now it looks slightly different and still won’t collect. I don’t know if it’s bc there’s only a certain amount of days I can connect freely or something else. I downloaded better net and I tried to deny the premium but it instantly signed me up for it and is charging me even after I deleted the app, I don’t want to pay for it I just wanted to have better internet. I can’t figure out how to un subscribe either, I don’t know what to do. I do want to say thank you for responding to my post.. I will say better net is a good app and I recommend using it. I was just a bit stressed out because it was making me pay for something because my phone must have glitched our or something. Besides the fiasco with the subscription this app is really good. Just a warning to people looking to use the free trial - after a few errors signing up for the free trial I was charged for a full month of premium subscription. I will update if this error can be resolved with a refund, otherwise the premium services were quite disappointing and I’d never pay their price for the month when things like TunnelBear and NordVPN exist. Please avoid the premium subscription and stick to the free option, or use a different paid option. Edit: Everything was resolved, thank you customer support! Updated the rating and title! Edit again: things have slowed wayyyyyyy down lately on the free end! Not sure what the problem is but most of the time it simply doesn’t work. Lowering the rating for now. It works fairly well, but you don’t really need it unless you’re on unsecured wifi. Because that’s what this is for. It keeps you safe on unsecured wifi. But a thing about it is that it has this delayed time to connect. What it does is when you’re connecting it takes away you’re wifi on yout phone and focuses all on connected, I guess it’s fine but sometimes it take 5+ minutes in order to connect. And when it says that you can get away with using school wifi, that’s a complete lie, the school can still kick you off their network. Unless you’re using a school issued device, then it should work. 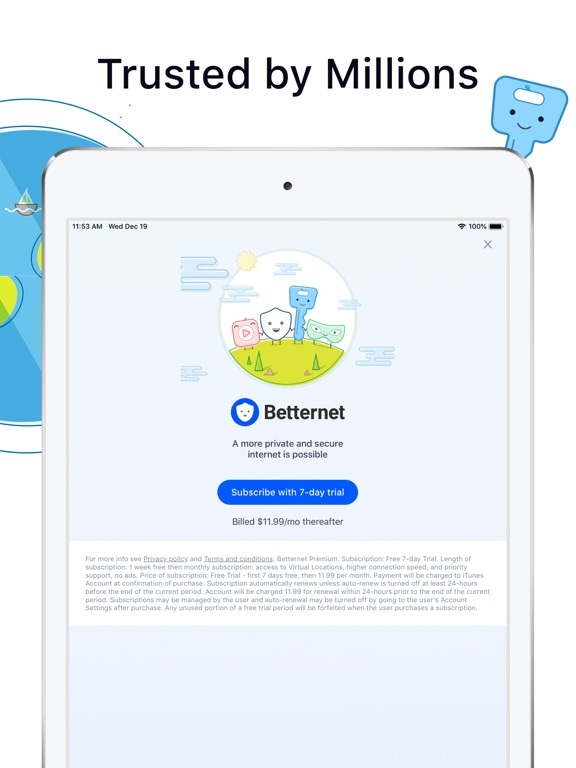 One of my good friends suggested Betternet to because of my offices poor WIFI so at first I was a bit skeptical on how well it works. It took me just a few seconds to get the hang of how to use the app but once I did I loved using it. It made using WIFI better and faster. But while it is good I’m some cases, it can sometimes make no difference what do ever on the web. Also I don’t know it this is the app or just my phone but my apps take forever to install when I am connected or they just stop downloading right after they begin. Besides that Betternet is defiantly a good app for anyone who needs to get better internet. I like to test out a product before I put money into it, but it seems this will not be the case with Betternet. After I activated the VPN, any internet connectivity I had seemed to instantly vanish. Though I was connected to strong WiFi, I might as well of not been considering the connection speed. The only remedy to this problem was to eventually turn off the VPN. I understand VPNs slow down the free experience to prompt people to buy the full paid experience, but how am I to judge whether to pay for a VPN service if the free version of it makes me feel like I have a brick with a WiFi connection? 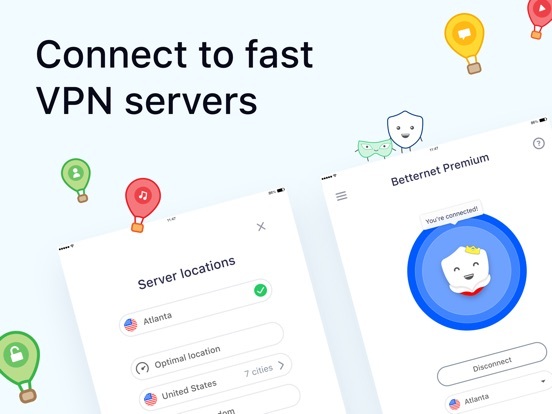 I’m sure Betternet is a great VPN service, I’ve heard many reviews speak very highly of it, but the product just didn’t sell its potential to me. 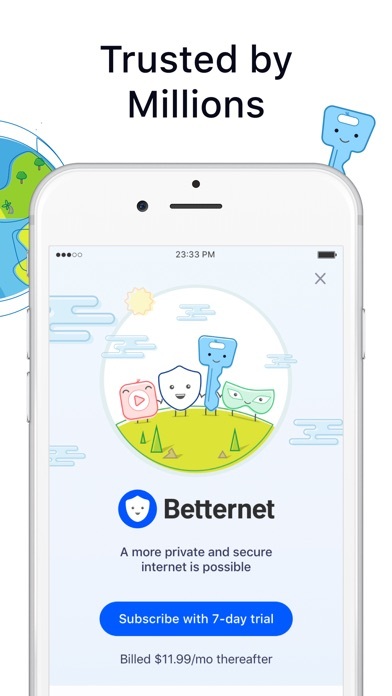 I am travelling in China, have to subscribe VPN to get access to my study material and other useful information in the U.S.. Betternet is the first VPN that I used. For the first 7 days of trial, it worked fine. I didn't discover any problem in connecting. After one month using, unstable connection appeared. I had to try more than five times before getting a protocol, most time it was even more trials. It always showed me, "I've found a better protocol, let me try", then nothing happened, no connection at all. It was not about the Internet service. I have stayed in two different cities, same situation. Even though I got a connection, the speed is very slow. I couldn't even watch a short video without several buffers. I have to unsubscribe and find another VPN app so that I can keep working on my study. So when I down loaded this VPN it worked like a charm but after 2 days my cellular data wouldn’t work ((I had tried with and with out the VPN)). So I consulted my network provider and Apple about this and they said the phone would be fine after that the next morning my phone read “INVALID SIM”. So I took my phone in and my SIM card was fine, but I deleted some apps that I though had virus’s inside of them but immediately after deleting the VPN my cellular data started working. But, I wasn’t going to stop there because I wanted to test my hypothesis. My first action was to re-download the app and test if my cellular data was working, low and behold it wasn’t working. I repeated this process multiple times and still the same outcome but when the VPN was connected to the WiFi it was very good. It’s great but it really needs a lot of work. when it comes to connection i usually turn it off due to how bad your Internet is when you have it on but it is definitely good when it comes to being a VPN. it definitely does work it’s not a scam and I’ll tell you that much because I helped a lot of people when it comes to this kind of stuff and I can tell you it’s real but when it comes to loading a page it’s like Internet from a store what you should never use because someone could get your info if you do that anyway definitely need to work but good. I had downloaded Betternet onto my iPhone and during the initial connection attempts everything failed over and over. I could not obtain a connection. Got onto the help and they referenced that my ISP may be blocking VPN access. I disconnected from my home wifi to use my mobile data plan instead. VPN connection was immediate and very quick. So my take away here is it will work great away from home over my data plan but not at home. I'll head off to a coffee shop and try using Betternet with their wifi next. The vpn works great on WiFi, but it was a data drain when it was running over cellular. I turned off the permission for it to use cellar data, but it won’t automatically shut off when I’m using cellular data. I have to manually shut it down, because my navigation maps won’t work, and then I have to go and manually turn it back on when I’m back in a WiFi area. I like the app, but wish it didn’t drain data or that it would auto shut down in cellular and auto turn on when in WiFi. It used to do that, but for some reason it won’t do it now. I may have to try a different vpn. A vpn sends information to a private network to mask your ip and encrypt your data. This means that whatever you look at, they can look at too. You should always trust your vpn. 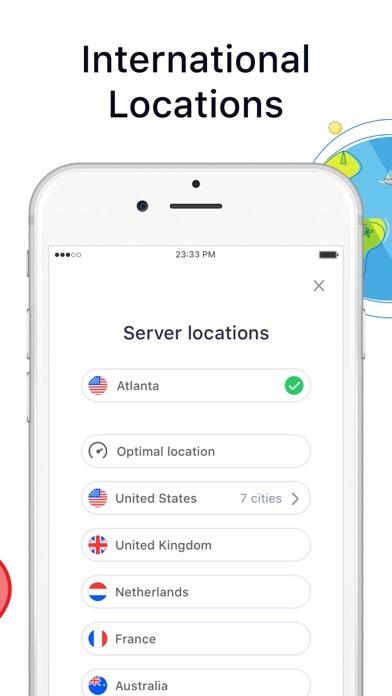 I’ve seen countless reviews about this app where people are unable to cancel payment once they’ve bought premium, there’s many sketchy adds online that lead to this vpn, and it’s stationed in Canada. 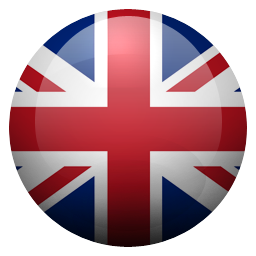 This means that under the 15 eyes agreement, the government can still see what you are doing on your phone. 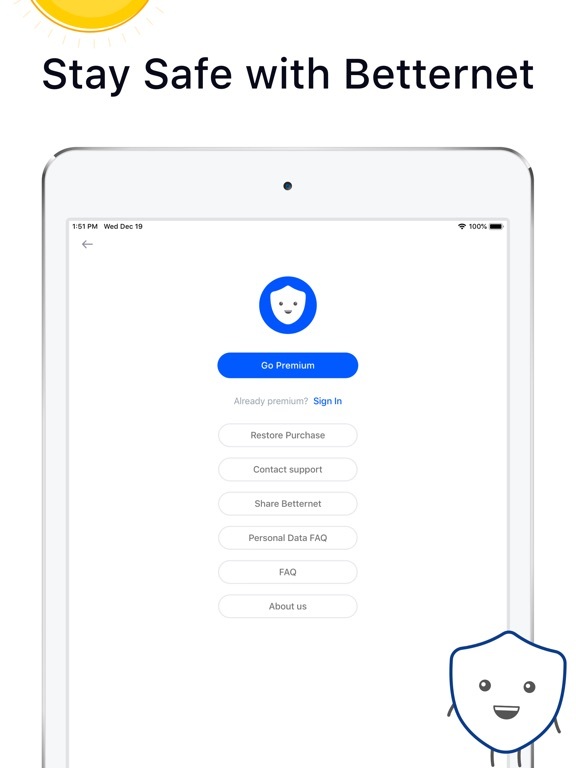 If you don’t want this company to possibly steal passwords, credit cards, or monitor every little thing you do while connected to the internet, then don’t buy this “free” app. I would recommend paying for a well known app if you truly need one. Betternet is very dependable, although it takes quite a few tries to connect sometimes, even when my service is at three bars. I know that can't be helped, but it's something to consider when choosing a good VPN. However, I prefer Betternet over all the other VPNs I've used. It doesn't compare to SSH, but it's definitely the best VPN you're going to find. Plus it's got a cute madcot. I'd give it five stars if it cut back on the "Go Premium" ad. I'm fine with ads, but it's frustrating when you have to close out of the same ad 3+ times to get to the actual app. To be 100% honest I love this app and I use it a lot during the school year, but recently it hasn’t been working, it started when I accidentally turned it on with no internet connection and it got all red and said not internet connection which then I turned it off and left the app. When I did have internet and turned it on it wouldn’t connect and turn blue like usual, it showed me the add and then didn’t turn on, so I deleted the app then redownloded it it worked like normal until I did the same thing and now it won’t work. That is my only problem and besides that it’s a great app! This one is really reliable. Easy to use, easy to connect, internet connection is pretty fast most of the time, and stable. I've tried other ones, either they are hard to actually establish a connection, or drops off a lot or takes very long to load content. So far this one can help me get a stable connection most of the time. Only some of the vpn terminals are better than others, some can get a connection but bad internet. 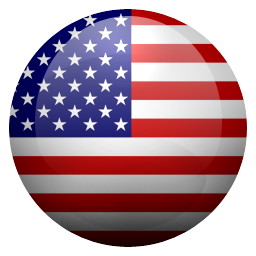 Overall this app does provide a vpn service which works most of the time. I am currently in a rural part of China so I understand the service may not be as reliable. 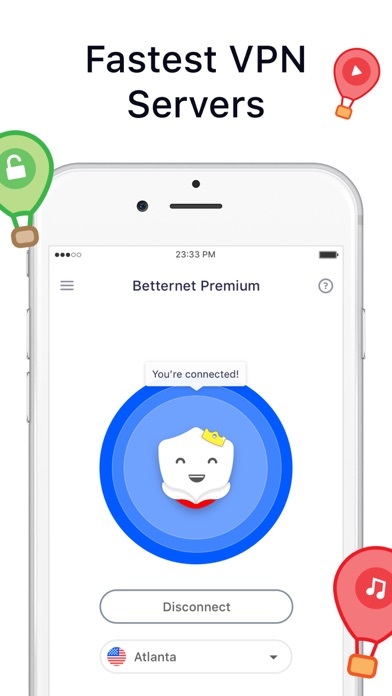 Upgrading to premium immediately showed improvements in connection stability and access to different regions to access new content while surfing the web or streaming. Do not regret the purchase but hope they will continue to improve connections with mobile devices, when I return home I would to like to try their desktop versions for my pc. So I have been using Betternet for the past three months and have never experienced an issue with regards to connection speed or connection in general. It was a lifesaver because compared to every other VPN, this one was the one that worked. Randomly, it gave out when I tried to connect and could not reconnect ever since then. I did use this app on a school WiFi to bypass the blockage of many internet sites, streaming services and social media apps but now it doesn’t work at all. I loved it up until this point and now it’s honestly frustrating. Should be 0/5 stars. Terrible!! This VPN doesn’t work properly. It should be removed from the App Store. I am a premium subscriber and I will be ending my subscription at the end of this month. I am aware that it is offered for free. If you are looking at Betternet for security reasons, it is junk. 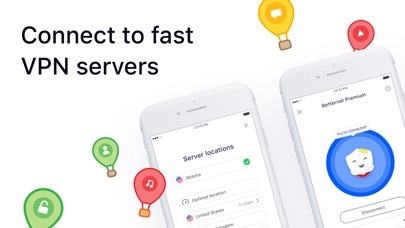 The app is extremely slow and frequently disconnects, so it is worthless if you want to use it to protect your online activity while using public wifi or spoof your location. Most VPNs cover up to 5 devices. I cannot speak for Mac, but I know that Betternet for Windows is AWFUL. I have issues every single time I use it. In order for it to work, I have to delete the app and re-download. The service is a sham. I travel extensively abroad for work which means a lot of time spent in foreign airports and hotels. 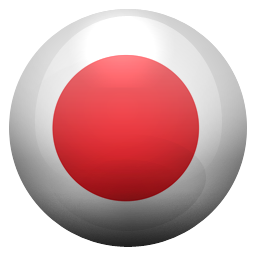 This app allows me to use various apps where I log in with my US TV Provider account and watch all the latest shows. Also works great when trying to see shows or movies only available on US Netflix. *Please note that the signal strength will depend on the speed and stability of the WiFi you are connected to. For me it’s meant Asia and Europe work awesome, Africa and Latin America not so awesome. Stay away from this app! I recomend you don’t use this app. I didn’t really know about the app when I first downloaded it, and it looked pretty cool. It turns out it’s not. You have to start a free trial to use it, so I did. I eventually deleted the app because it sometimes didn’t connect properly. Then 1 month later, it charged my moms credit card 12 dollars and I had completely forgot about the app because I had it deleted it. This was really unfair because I never used the app anyway and it didn’t send any confirmation prior to the payment. The only reason why this app has high star rating is because you get better conection if you rate the app 5 stars, so it looks better on the outside. Betternet is such a good app. It’s great actually , but when teens have school WiFi and we’re on there they have certain restrictions. Meaning to do certain things we have to use our cellular data & sometime share our hotspots because our data isn’t enough. The whole point of wife is to do the things you do with your cellular data without using it. So Where I’m getting at is betternet should make ALL internet better , not just the speed but the function as well. As a substitute teacher, there are days where you have a lot of free time and you get bored of reading. The schools have Wifi but it blocks certain websites like Netflix, making the day even longer. Luckily somebody introduced me to this app, and it's filled my days with joy ever since. But you still can't get on HBOGO because of the re-routing of locations, which also takes away some shows on Netflix if they're not available in that foreign market. Otherwise, great app.